While we are enjoying some unseasonably warm weather this week, it’s still winter and the Midwest US is famous for it’s sub-zero temperatures. So how to keep warm? With a little help from some grains (or seeds)! I’m talking hand/feet/neck warmers here. If you spend any time at all on Pinterest, I am quite sure these have popped up in your feed at one point. 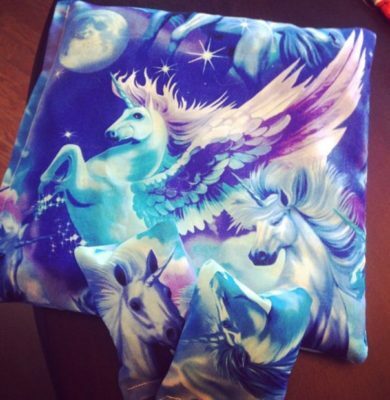 If they have unicorns on them, even better! 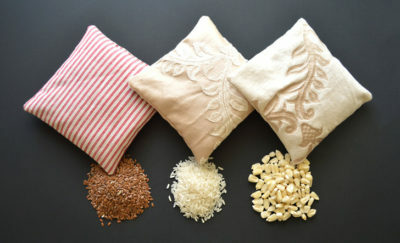 They are pretty fantastic and a tutorial for the rice type ones has been posted before on Craft Hackers (here) but I want to go a little more in depth because these things are super effective, easy to make, and great for gifts. I’ve seen tutorials for rice, corn and flax seed types but hadn’t quite settled on which one would suit me. Lo and behold, someone has actually done some informal research on the subject! 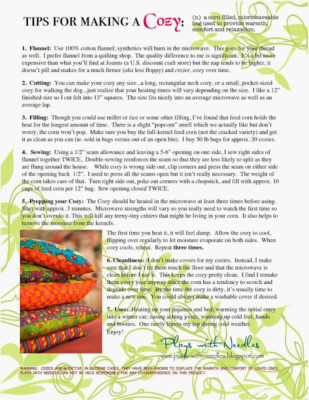 Sew4home compared the three for the time it take for each type to cool down (read the entire article here). Which will it be? Will longer grains prevail? The seeds? The round kernels? It turns out that flax seed keeps the heat steady for the longest period of time but there are other parameters to consider such as smell, feel, and cost. Each has a bit of a smell when heated but this can be reduced by adding in some aromatherapy (a great tutorial with different smells can be found here). A little lavender can go a long way! The final parameter they mention is cost but I would also put in an honorable mention for availability. 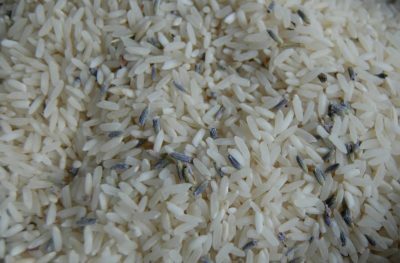 Rice is generally cheapest and most widely available but if you have a feed/grain store nearby, corn and flax can still be very economic. 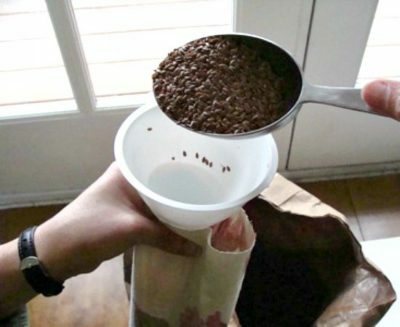 Flax does recommend itself as a reasonable option, especially as it is a seed and won’t need replacing as often (a purely flax tutorial can be found here). Although I can just imagine the mess that comes with flax vs rice vs corn cleanup. Only use 100% cotton fabric, flannel is preferable for feel but not a necessity. Only partially fill the bag so that it still has movement and is not as hard as a rock – this also helps when sewing the end closed. Ensure that before the first use, you zap it a couple of times in the microwave to kill off any possible bugs and eliminate moisture. A funnel is your best friend when filling. Put a double seam around the edges to prevent these from breaking open (the temptation to toss them like bean bags is great). A cover is a great way to prevent these from getting too dirty but again, not a necessity. Heat in a clean microwave as I’m fairly certain you don’t want them to pick up the smells of leftovers. That’s everything I’ve saved along my way in the quest for fantastic hand warmers! I think I’m going to use some of this good weather to open the windows while I get some sewing done, in prep for colder temps I know are just lying in wait.